Bridge to the New Year: One Word #OLW 2018 – 2019? Here is one of the ways I find images for the content I create: I go to my flickr account – the one I have had for more than ten years and holds a huge repository of photos. I do a quick search and up pop usually related possibilities. 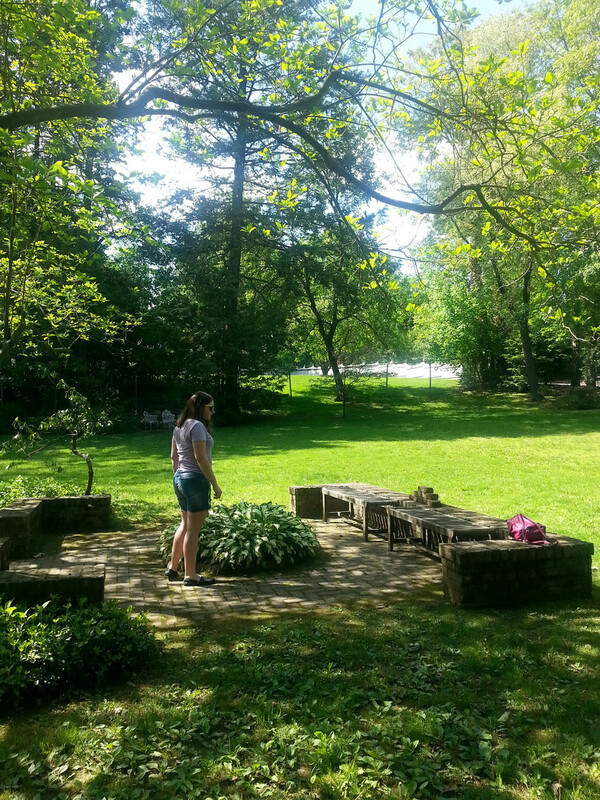 Today I searched FREE and a garden I used to visit as a child popped up. I may have literally asked, “Why are these showing up as “free” when it hit me. 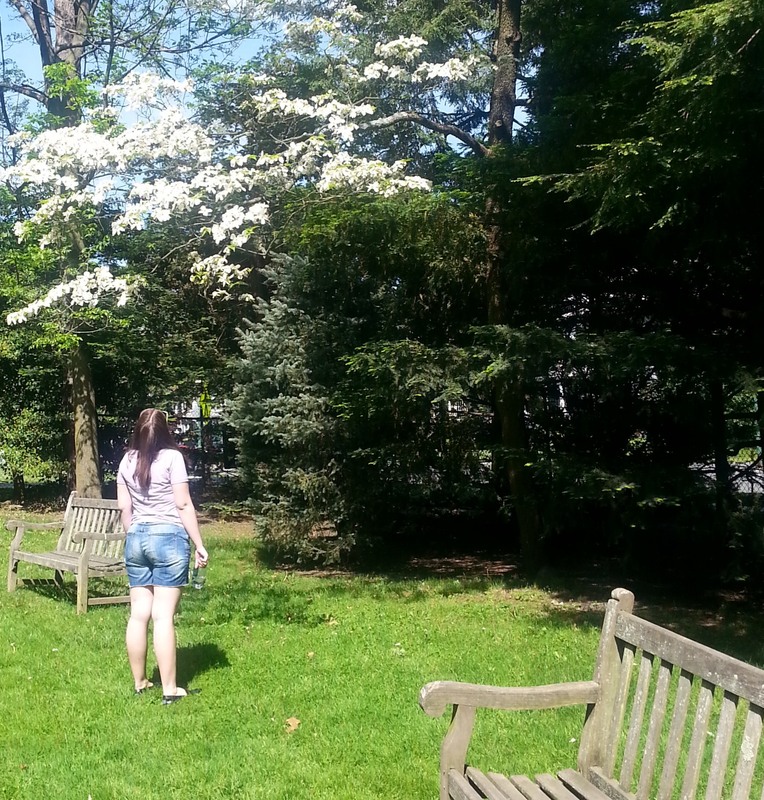 I only felt happiness here at Freeman Gardens. It was an oasis, I remember walkign along the path in the back corner that felt like a wilderness, carrying my hand-me-down brownie camera taking photos. On my walk to school in the Spring, I tasted honeysuckles growing on her fences. I “bridged up” in an early ritual of growing toward being a woman. Each earnest little girl walked over a rickety bridge we only knew to trust. Katherine and I visited after she graduated from Smith in May, 2014 and she is who you see in the photo above. 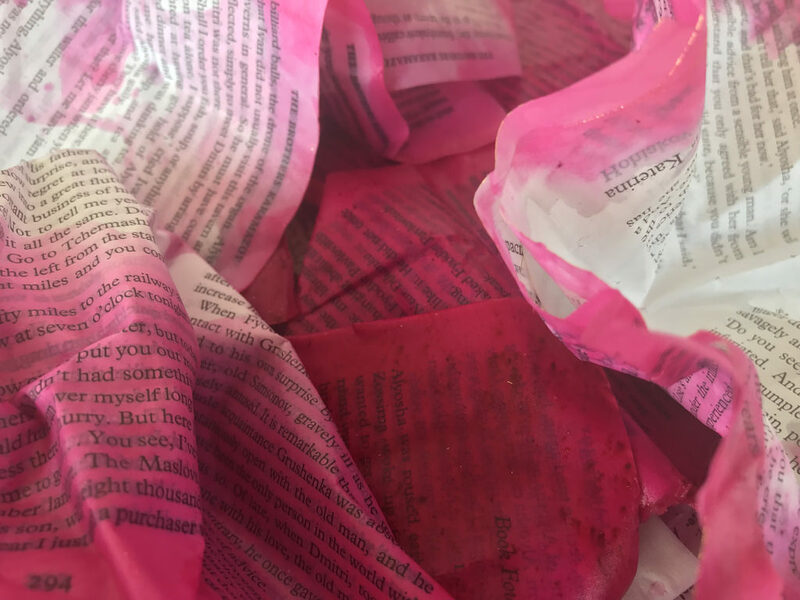 I felt freedom and love when I visited Katherine again, in May 2018. At this point she was married, had graduated from seminary, and was being ordained. My freedom seems slightly ironic because I was without a car but I read two novels, saw many friends from long ago and friends from livestreaming I had never met face-to-face and I regretted not planning better but in retrospect I was grateful for the freedom of no expectations. My one word, one little word, Theme Word, whatever it might be described for 2018 was “Freedom” usually declared with a smug look on my face. Well, that smug was wiped away within the first three weeks of the year when I lost final shreds of friendships and the trajectory toward a lot of uncomfortable disengagement flooded my reality. As little as six weeks ago I was ready to declare 2018 another in what felt like a long line of disappointing failures until… I gained clarity, like when I found this photo and realized this park – called “Freeman Gardens” which is probably why it showed up in the search – was a place I only knew happiness. While I had a fairly normal childhood, there was a lot of sadness, a lot of not-so-great episodes amidst the outward semblance of Father Knows Best and the Donna Reed Show. 2018 did show me freedom, also, simply in surprising ways. I gave myself the freedom to be bad at things and I even gave myself the permission to ask people to participate in activities because I didn’t feel comfortable to do them alone and people even said yes on more occasions than not. Turns out freedom wasn’t such a bad word for the year afterall. Next year: right now for some reason Declaration and Proclamation are both attempting to get my attention. As usual, I am giving them space while still leaving the door open to other suitors. 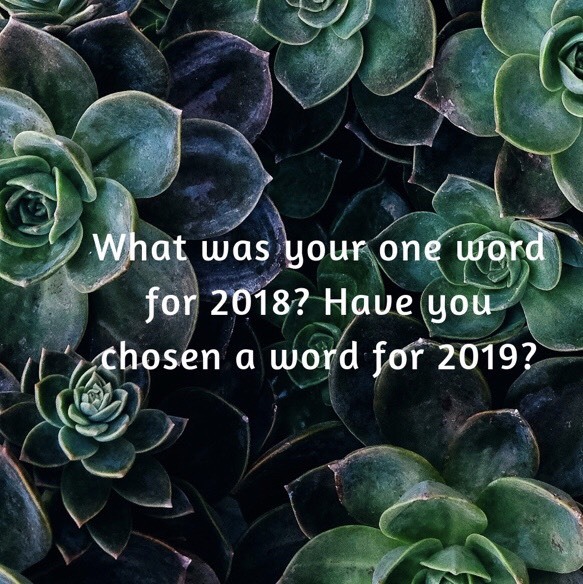 Tell me about your One Word, #OLW or whatever you call it for 2018 and if you are not sure right now for 2019 that is completely fine, too. 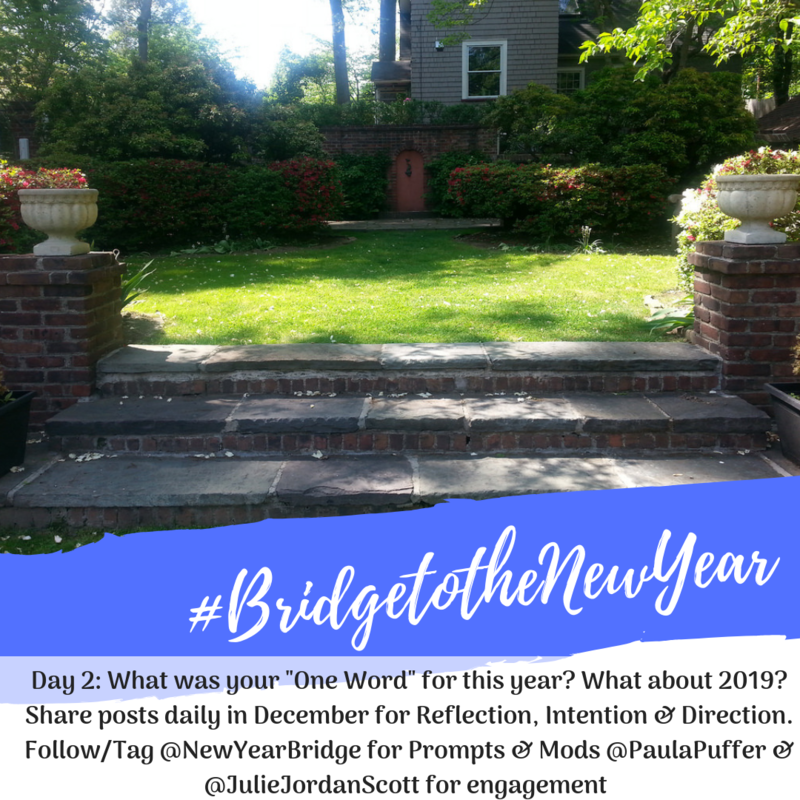 This post is a part of Bridge to the New Year, a collaborative project/initiative between Creative Life Midwife and JuicyJournaling.com Each day during December we will be offering prompts to guide participants through the process of reviewing and reflecting the year and setting a framework (roadmap, intention) for the New Year. There is also a facebook group with discussion, videos and more.